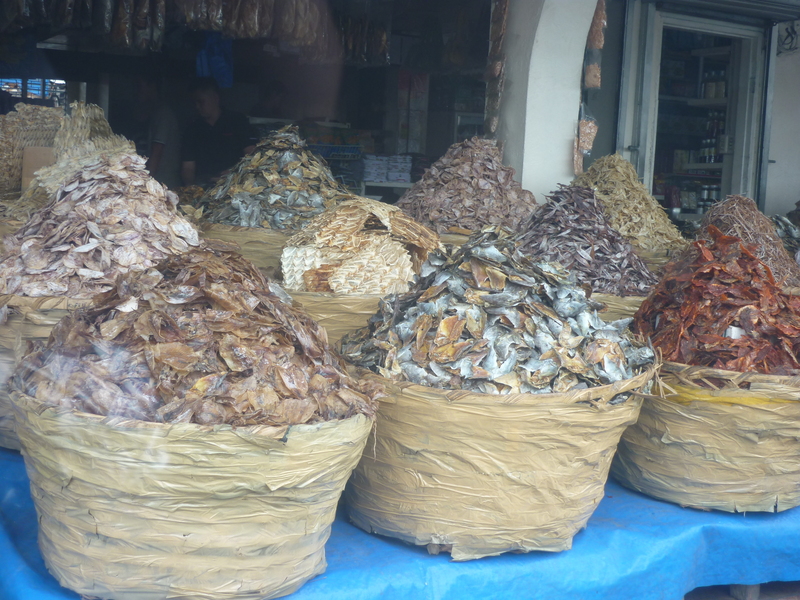 Welcome, folks, to the very distinct-smelling Taboan Market in downtown Cebu. We had to make a pit stop here because my lola absolutely loves fried crispy danggit for breakfast and she asked me and my mom to get her LOADS of the stuff during our short stay in Cebu. She was so excited, in fact, that in anticipation of the danggit, she went straight to the wet market back in our hometown and bought TWO KILOGRAMS OF FRESH, SWEET, NATIVE TOMATOES so she could eat her beloved danggit in utter bliss. Sorry, Lola, your tomatoes will have to wait…we are still navigating our way through the streets of Cebu, in search of that danggit you probably are salivating about back home. In case, you, dear reader, are not familiar with danggit and are wondering what on earth it is, it’s simply salted dried fish which you fry to a crisp and serve with tomatoes and rice. It’s usually eaten for breakfast and some people like to dip it in vinegar to offset the saltiness. I just learned recently that danggit is of the spinefish or rabbitfoot variety (if you’re the type who cares about that kind of information…oh, and they’re part of the Siganus family). If you’re curious about the taste of danggit, just imagine a paper-thin sliver of dried fish deep-fried and slightly salty, that crumbles on your first bite and crackles nicely in your tongue, when combined with the acidity of the vinegar. I just love the contrasting texture of this with the softness of the rice and the slight sweetness of native tomatoes. I even go so far as to drink hot chocolate with this, because the sweet, rich, warmness of the cocoa complements the saltiness very, very well. And, when you reach Taboan Market, the amazing thing is, the danggit comes in all shapes and sizes in these huuuuge baskets so you have so much to choose from. Once you know what you want, you can ask the vendors to measure them and package them in clear plastic bags to be sealed. Remember to haggle and try to get the best deals! That is the beauty of being in a marketplace – you get to practice the art of negotiation and compromise! 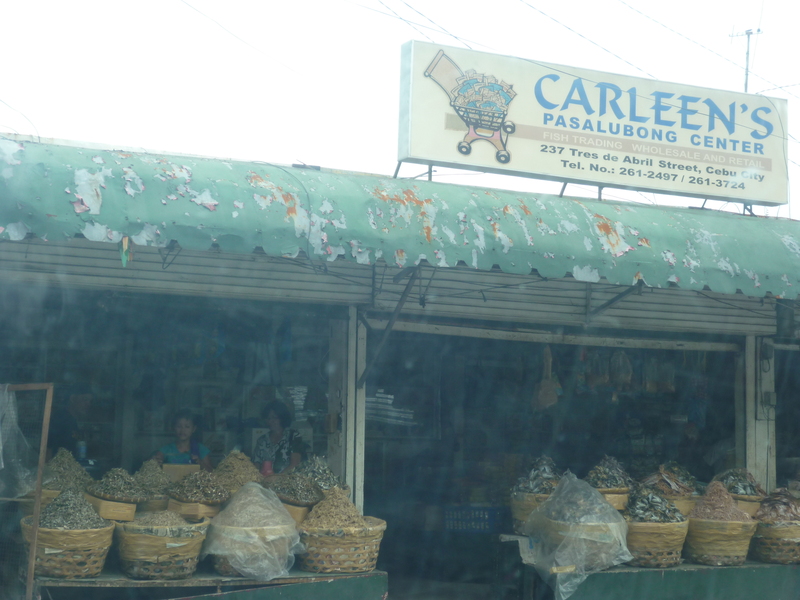 Our cab driver, being the very informative local that he is, told us that the danggit in Taboan Market is sourced from Bantayan Island and Zamboanga. He said that this was the cheapest place in Cebu to get danggit because Taboan Market serves as the bagsakan or “drop-off point” of danggit from the two aforementioned places. You can buy it in the malls, but prices are a bit higher compared to here. Being the wise consumer (and smart shopper!) that I am, of course, I’d head straight here and get the best deals! So, if you’re in downtown Cebu for the day, soak up a very memorable experience by going to Taboan Market. 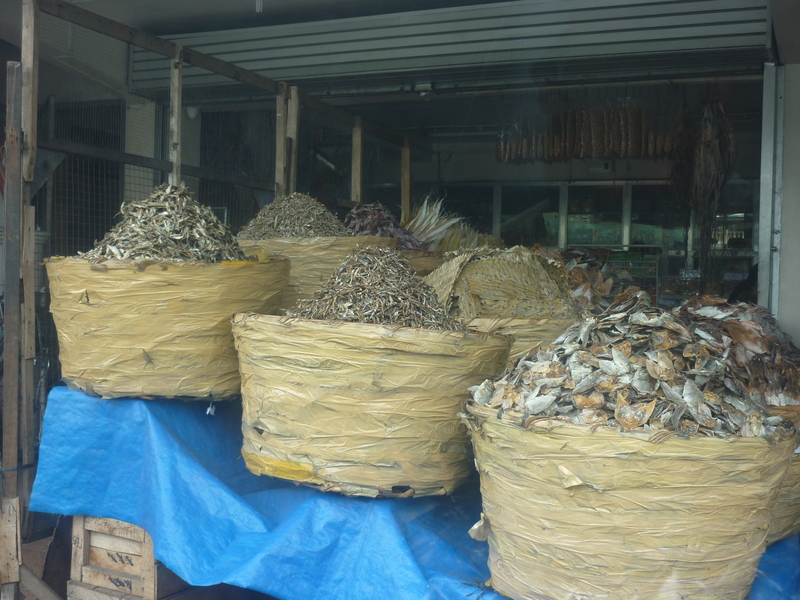 The sight of an entire smorgasbord of dried fish in so many stalls can be pretty interesting. Aside from bringing home something different for breakfast, you also have quite a story to tell. ← Can You Guess WHERE This Is?